In line with procedure, the poll for the ward will re-scheduled for another date. The St Osyth district council ward election will now take place on Thursday, May 23. Voters will be issued with a new polling card with the new details, and a new timeline of key dates for candidate nominations and voter registration will be publicised. Existing nominations, except for the deceased candidate, will carry forward. However, voters in the Point Clear ward of St Osyth Parish Council will still be heading to the polls on May 2 to vote on which of the six candidates will take up the five seats available on the parish council. Ian Davidson, Returning Officer, said: “Our condolences go out to the family and friends of the candidate. The TDC Chairman has also moved the date of the annual council meeting – when the new chairman, leader and committee membership is agreed – to May 28 so that all the newly elected councillors will be present. 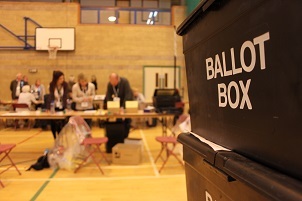 Anyone with questions should contact elections@tendringdc.gov.uk or call 01255 686575.